Yesterday I reported that an application to demolish parts of the former Yorkshire Brewery in Collingwood has been lodged. You can see all the plans here. The below picture shows what will be retained and what won’t be. Seems that the significant brick structures will all be retained, while the silos will go. 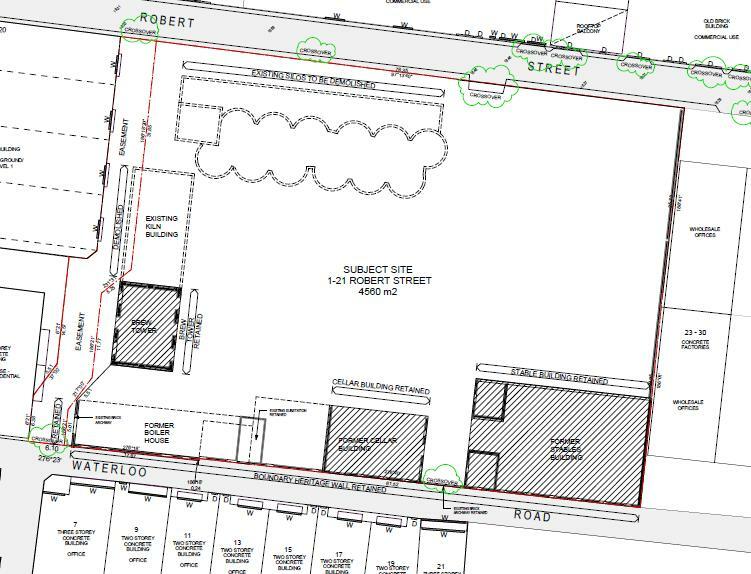 As for the development itself, it will take up much of the land that is currently used as a carpark, with buildings going right up to the brick brew tower (the larger yellow square in the below illustration). Some development is a good thing, and of course it’s good that they’re incorporating the existing brick structures rather than fighting to demolish them. 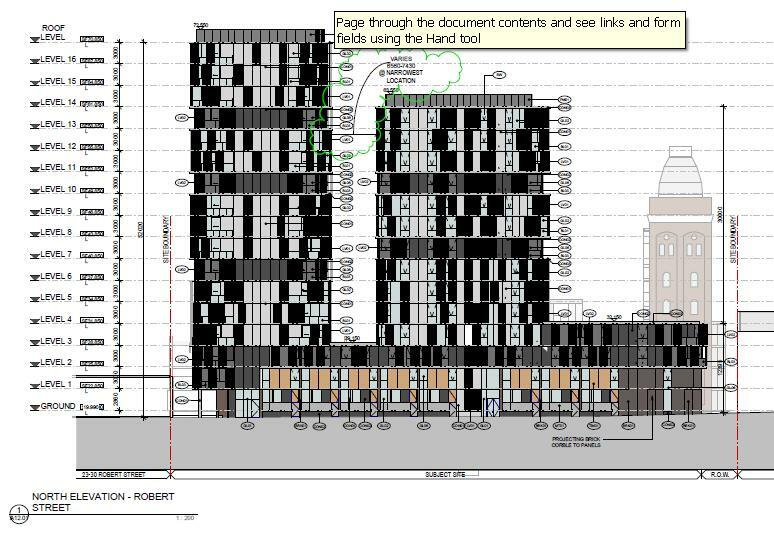 But what I really don’t like is the height of the proposed development – 17 stories. This is how it will look viewed from Robert St (you know, that tiny little alleyway-type street running down the side of the silos, with the Karate school opposite the carpark entrance). Yep. That is what 17 stories is going to look like. ~ by Kitten of Doom on October 25, 2011. I only just familiar with the area and I can’t remember the silos, but there would not be much surrounding that is over two stories surely? Just checked with street view and it is low rise. Now I know the silos, from a distance. These planned buildings are just way too tall for the surroundings. 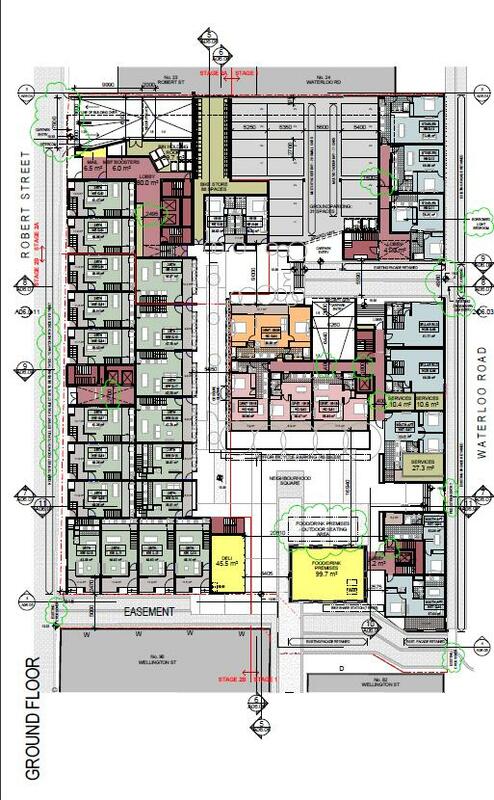 Im planning a community petition against this development this weekend. I need as much help as I can get considering that submissions for community feed back are due on the 21st of November 2011. Anyone who would like to help, please email me at jkrayner@gmail.com ASAP! I read that this development was rejected by the council and Victorian Heritage… I hope so. Those buildings are a ridiculous idea. I knew that council rejected it, I hadn’t checked on Victoria Heritage’s decision, but I figured it would be a no. It is grossly oversized and there isn’t even room for a footpath on the Robert St side of the building, so people just walk out of the complex straight onto the road? 300+ apartments is a bit greedy. Hi, I’m planning a door knock with J Rayner to get as many objections lodged as possible. It has been approved as I understand it by Heritage Vic, now it is going to town planning. Any help would be great, going to try to get to as many objections as possible and they must be lodged by July 30th. You seem more informed as to the details which I don’t have time for unfortunately. Am trying to see if I can find anyone in the media who it would be of interest to however I’d need assistance. Surely we can gather a movement of people who would be opposed to this..?! I’m in Berlin at the moment Loretta, I’ll be back in November; but I’ll post your message on my blog so hopefully others who are looking for information on the development can get in touch!